SCOTUS ruling: Arizona voter ID law struck down. 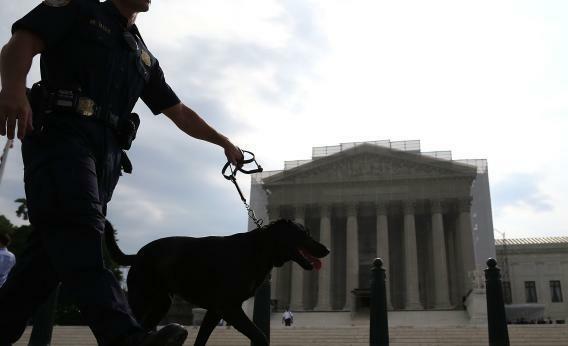 A police officer walks his dog in front of the U.S. Supreme Court building on June 17, 2013, in Washington D.C.
Hard to read anything from that and apply it to the VRA case. This decision doesn’t veer anywhere near questions of discrimination or historical context. There’s a law. The states tried to overwhelm it. States can’t do that. End of decision, end of court drama ‘til Thursday.